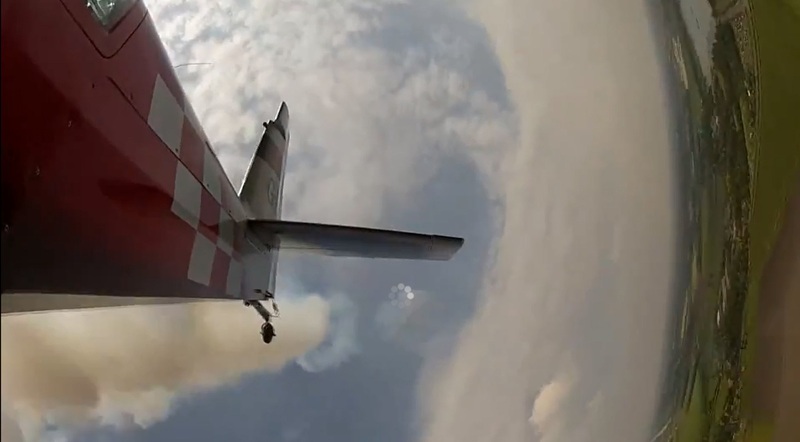 Mike Kruiper has edited this superb HD video filmed with a GoPro on the underside of the Extra. 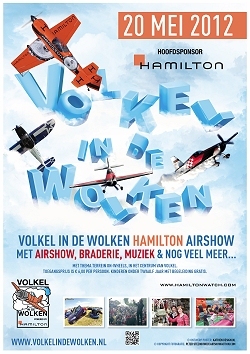 The display is put on annually for the people of Volkel by the military. The flying display was a nice mix of solo aerobatics, formation aerobatics and jet noise. The solo aerobatic displays were abundant, with displays by Nicolas Ivanoff, Gerald Cooper, Frank Versteegh and more. 2 of these stood out. First of there’s Mark Jefferies, his display is nothing but amazing, very tight flying, with plenty of tumbles, tight turns and more. What I really liked is doing something else with his smoke system. Most turn it on for quite a while and turn it off at some point, Mark thinks out of the box in deploying smoke. Very well done. Be sure to check out a video of his display. Then there’s a second participant Steve van Dijck, a fresh addition. Steve is a former F-16 pilot and flies the Fokker S-11, Yak-52 and more. Recently he purchased a Sukhoi 29, a very capable aerobatics plane. Steve has lots of experience and it shows. Tight flying. The display was showing just what the Sukhoi is capable of. Hope to see more of the Sukhoi at more airshows. Despite Volkel being a truly massive airbase with one of the longest runways in Europe, the airshow element of Volkel in de Wolken takes place 1 mile west of the airbase on the extended runway line. The show has grown into a major flying display which in 2012 attracted acts from the Netherlands, Germany and the UK.